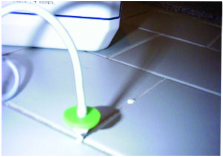 ​A resin emulsion with a property of wet adhesion. HYPOBOND is injected by hand gun through a syringe protruding through the drummy render or tile grout so that the injected HYPOBOND re-adheres drummy render or tiles. Used in the backing mix to outline the bricks and tuckpointing line. The tuckpointing line mix is mixed with MXL as a total water replacement. 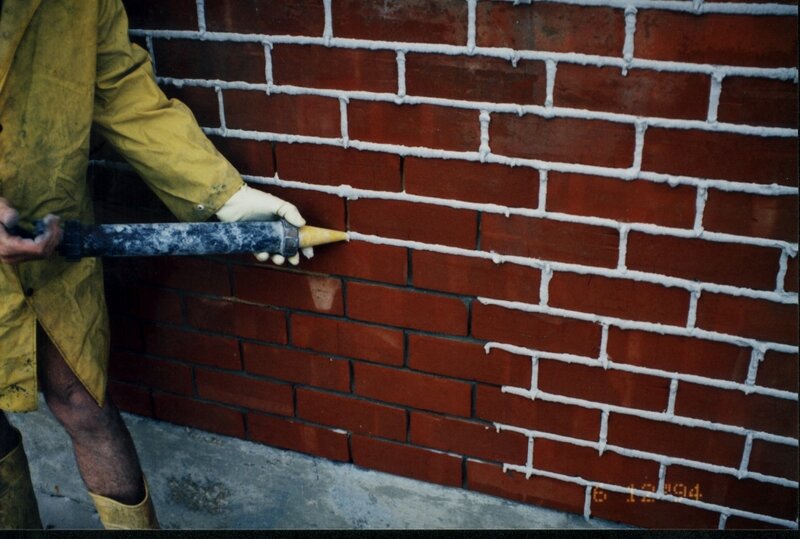 MXL is a high-bond strength, resilient, adhesive and synthetic latex rubber resin, used for both mortar pointing restoration (replacement), for tuckpointing (white line in brick pattern over masonry) and the outline thin screed outline background the white line is placed onto. · Achieves complete restoration in wide or thin fretted mortar joints. · MXL mortars have excellent bonding strength. Full curing takes 28 days. · The MXL treated joints are not visible and have a proven long-term history from 1972 for protection against adverse environmental conditions and normal building movement. AQUAPHOBIC is a water-repellent damp-proofing agent based on oligomerous alkylalkoxysiloxanes used in an emulsifiable form. AQUAPHOBIC is diluted with clean tap water to form an opalescent micro-emulsion, which is used for facade or injection application of porous mineral building materials to repel surface water rising and/or dampness in a substrate. The AQUAPHOBIC treatment allows substrates to continue to breathe after application of the AQUAPHOBIC dilution. ​Aquaphobic is a very depsicalised with high penetrating properties. Used diluted with was on site before use and applied over the finished tuckpointing. The rain and wash water is repelled off the wall. MXL mortar is a specially developed water based resin incorporating extrusion compounds. MXL when mixed with a cement/sand mortar (no lime) placed in a caulking gun, the viscous mortar is easily injected into the fretted mortar joint or crack to restore the defect.